The Central Board of Secondary Education (CBSE) conducts the class 12th board examinations every year for all the students in Kendriya Vidyalayas, Jawahar Navodaya Vidyalayas, private schools and some government schools and the 2014 board exam result declaration day is today. The Central Board of Secondary Education (CBSE) conducts the class 12th board examinations every year for all the students in Kendriya Vidyalayas, Jawahar Navodaya Vidyalayas, private schools and some government schools and the 2014 board exam result declaration day is today. The students from all different streams whether Humanities/Science/Commerce sit for this exam to attain the minimum qualification for pursuing higher education later, and their fate will be make a mark today. 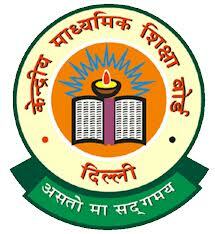 This year the CBSE class 12th exams began on 1 March 2014 and continued till 17 April 2014. The number of students who registered for the CBSE class 12th board exams 2014 were 22.65 lakh whereas in the previous year this number was 21.76 lakh. Since, CBSE board is declaring its results today, students are advised to be ready with their roll numbers in their hands to see the result in time before the website gets overloaded with traffic . The results will be declared on the official website of CBSE board i.e. "www.cbseresults.nic.in". 1. Open the CBSE official wesite "www.cbse.nic.in". 2. Just click on this link- "CBSE class 12 result 2014". 3. Write your roll number and then press enter key. 4. Your result will be in front of you. The results of CBSE are very important for the students, as these marks will tell them in which college they will get the admissions. Every year lakh of students sit for this exam and the maximum of them pass with very good marks because of which a high competition is seen for the seats in undergraduate programmes. The minimum percentage for passing the CBSE board examination is 40%. However if due to some reason the student is unable to pass in one or two subjects then no need to put your brain in unnecessary tension because CBSE board will give you one more chance to let you prove your ability. The date of the compartment or the supplementary exam is yet to be declared but most probably it will happen in the month of June or July. Central Board of Secondary Education (CBSE) is a body that organizes All India Senior School level board exams every year.